In 2014 something extraordinary happened in North East England. 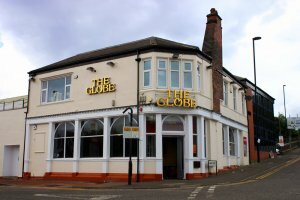 Some 200 people who love jazz and other music bought The Globe, an old pub in Newcastle, to create the UK’s first bar/venue run by a cooperative committed to live music. Three years on, The Globe hosts a wide range of music and dance five nights a week – jazz, blues, rock, reggae, punk, funk, folk, country and more. There’s also a regular programme of courses, workshops and jam sessions. The Globe is a place where musicians can learn, develop and share their skills. We’ve achieved a lot so far and now we’re asking for more investment so we can build on our success. As often happens with old buildings, the refurbishment cost more than we expected. Also we have twice had to deal with the practical and financial problems caused by our tenants leaving prematurely. As a result the cooperative decided to take control of the running of the whole building. We have employed a manager and bought more equipment. Our overheads have increased but in the long term the business will be more sustainable. All this has been done without any grant aid or public funding but we have had to borrow. When we reach our target of £36,000 of new investment we will be able to pay back one of the lenders and reduce our expenditure by £1,000 a month. This will make a big difference to The Globe and to the live music scene in Tyneside. You may invest any amount between £200 and £20,000 and if you pay income tax you may be eligible for tax relief. As an investor you will be a member of the cooperative and you can, if you wish, shape the way the business develops. You should regard your shares as a social/cultural investment rather than a financial speculation. The Globe is owned by Jazz.Coop which is democratically controlled by its members. Any person (or organisation) that agrees with our objectives may apply to buy shares and become a member. The members elect a board of directors to oversee the running of the business and the employment of staff. The directors are volunteers and do not get paid a salary. There are also working groups of volunteers set up to do specific tasks such as running events, arranging courses, maintenance, administration and promotion.